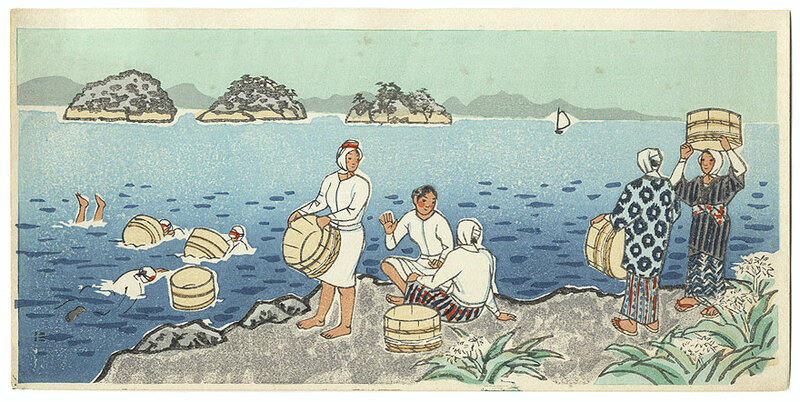 Comments - Charming scene of abalone divers gathered along the shore, chatting and resting. 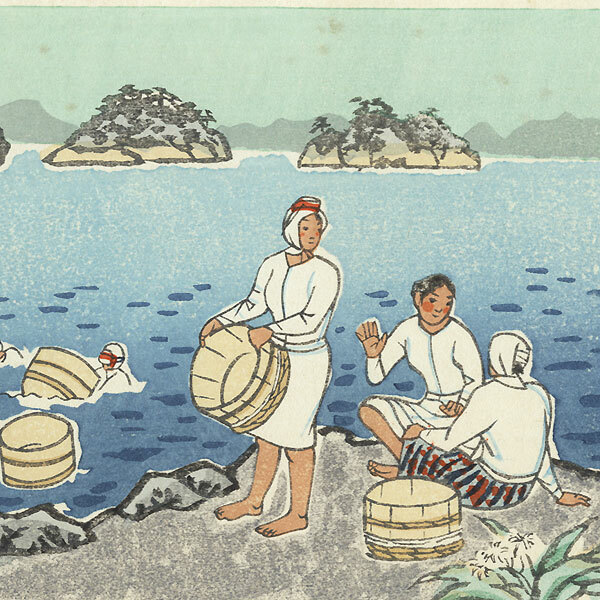 Other women are diving in the water or dropping abalone into large floating wooden tubs bobbing on the surface. The divers are modestly dressed in white costumes with white scarves around their heads. A terrific image from modern life, with a lovely view out over the softly shaded water under a pale green sky. An interesting and unusual genre for Nisaburo Ito. 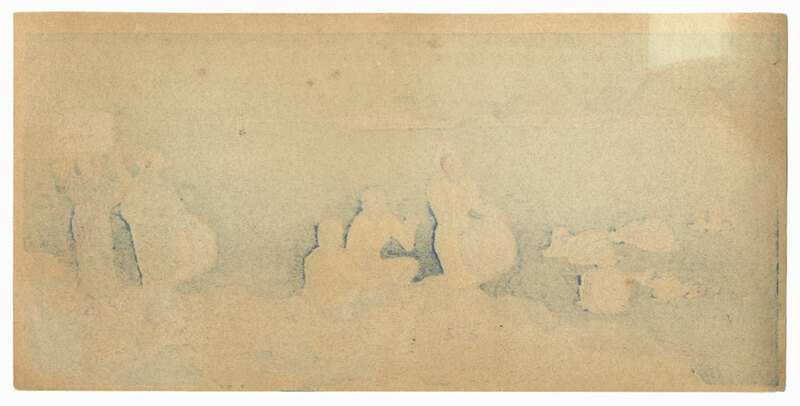 Condition - This print with excellent color and detail. Some spots. Nice overall.